Asian markets traded mostly higher on Friday as investors cheered a report saying American officials may be weighing the possibility of easing tariffs on China, in a bid to push forward trade talks. That optimism lifted shares in the Greater China region: Hong Kong’s Hang Seng index rose 1.14 percent in late-afternoon trade. On the Chinese mainland, the Shanghai composite gained 1.42 percent to 2,596.01 while the Shenzhen composite and the Shenzhen component both advanced. 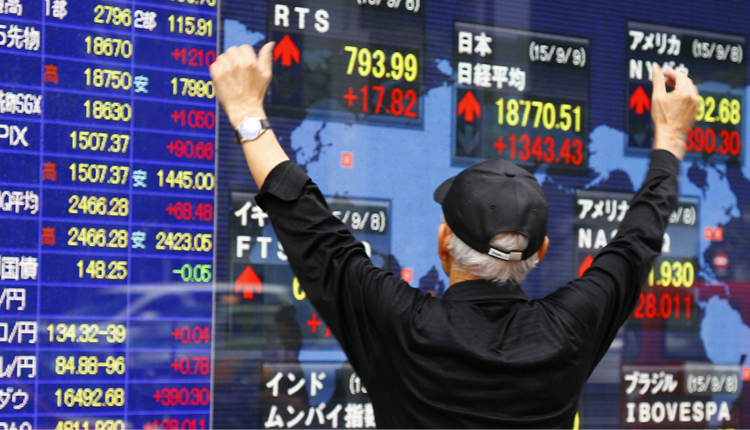 In Japan, the Nikkei 225 added 263.80 points, or 1.29 percent, to 20,666.07 while the Topix index was up 14.39 points, or 0.93 percent, at 1,557.59. South Korea’s Kospi gained 17.22 points, or 0.82 percent, to 2,124.28. Australia’s benchmark ASX 200 notched up 0.5 percent to 5,879.6, with all sectors rising. Still, the news “helped to mitigate the dashed hopes for an announcement of a peace trade deal at the side-lines of the World Economic Forum in Davos from January 22nd-25th,” Christy Tan, head of markets strategy and research for Asia at the National Australia Bank (NAB), wrote in a note. President Donald Trump on Thursday canceled his delegation’s trip to Davos, citing the ongoing partial government shutdown. U.S. officials are still expecting Chinese Vice Premier Liu He to visit Washington at the end of January for further trade talks. The National Australia Bank’s Tan questioned if a tariff agreement would be able to turn around China’s slowing economy, but analysts at Eurasia Group said that Trump and Chinese leader Xi Jinping’s desire to avoid tariff escalation reduces the probability of talks breaking down within the first half of the year. The U.S. dollar index, which tracks the greenback against a basket of its peers, last changed hands at 96.050 as of 3:14 p.m. HK/SIN. The yen, viewed as a safe-haven asset, traded at 109.44 to the dollar, weaker than levels near 108.00 earlier in the week. The Australian dollar was at $0.7193, dipping from an earlier high of $0.7205 while the euro fetched $1.1392.